Bike rental is the most convenient way to explore Sharm el Sheikh by yourself. Enjoy bike delivery to your accommodation at no extra charge. Explore the desert independently and at your own pace. Discover Sharm el Sheikh on two wheels. Explore independently and at your own pace by renting your ride from BlackJackBike, the desert specialists in Sharm el Sheikh. 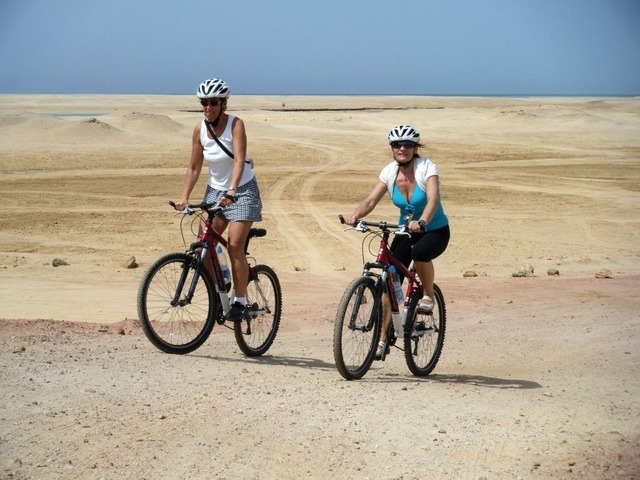 Bike rental is the most convenient way to explore Sharm el Sheikh by yourself. BlackJackBike delivers rental bikes to your accommodation in Sharm el Sheikh with no extra charge. These bikes, equipped with Shimano components, meet high quality demands and have proved themselves suitable for desert conditions. They are well-maintained and are checked before and after each rental. Please note that the bike on the photos are just samples for the features - we upgrade our bike pool constantly and models can vary.